Disney Is Banning Smoking Areas From All Their Parks in the U.S.
Disney is removing smoking areas from all its parks in the United States beginning on May 1, meaning smokers and vapers will have to leave the park to light up. Smoking also won't be allowed at the ESPN Wide World of Sports Complex, or Downtown Disney in California. Smoking was already banned from Disney hotel rooms and balconies, but the resorts still have designated smoking areas. Oversized strollers as well as dry or loose ice will also be banned from the park in an attempt to free up space. At Walt Disney World parks, smoking enforcement will be up to employees. Disney spokeswoman Erica Ettori said employees will ask smokers inside the parks to go to the designated area outside the entrance. 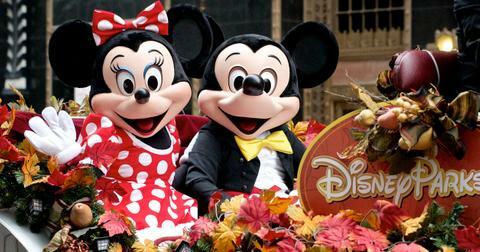 Disney doesn’t plan to punish visitors if they are caught breaking the rules. Dennis Speigel, president of Ohio-based International Theme Park Services, told the Orlando Sentinel that he supports the move. “It’s about time. It’s the happiest place on Earth … Why should people be subjected to smoke at Disney?" Speigel added that he expects other parks like Universal and SeaWorld to quickly follow suit. “We have a small number of smoking areas in each of our parks. They are located in out-of-the-way spots and have not been a source of concern for our guests. That said, we are always reviewing our policies and procedures." "It's not fair. It's legal. I think people who smoke should smoke if they want to smoke." The new rules won't make too much of a difference at Walt Disney World's Magic Kingdom, which currently only has two smoking areas inside the massive 107-acre park. It will however mean if you'd like to get in a smoke break, you'll have to leave property. No word on if you can still smoke on hotels, but we imagine that'll still be within the rules of the resort. The changes also won't apply to Disney's international parks, which includes Paris, Hong Kong, Tokyo, and China. New Moms Are Relating Hard to This Overbearing Mother's Baby Care "Dissertation"